The battle for Kiev’s Independence Square has reignited as rioters clash with security forces amid sniper fire. Dozens more have been injured in the escalating violence with reports of more civilian casualties. Rioters have reached the Rada building (the country’s parliament), while the police have been pushed back into Mariinsky park nearby. An emergency evacuation has been declared and parliament members and employees are leaving the building. Protesters pushed security forces off Independence Square and seized Oktyabrsky Palace – a major concert hall in the Ukrainian capital – and Hotel Ukraine. 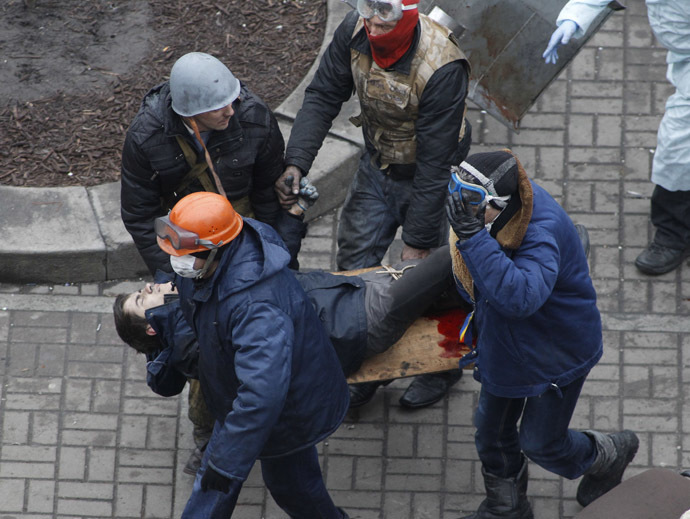 Gunfire can be heard throughout the Ukrainian capital.